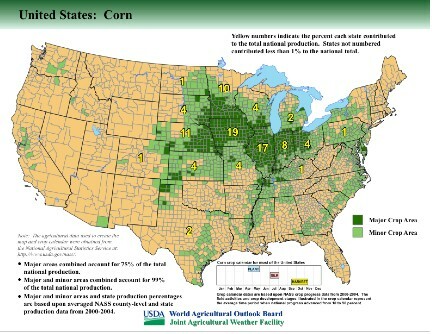 Home > Research > How Bad Has The Weather Been For Corn This Year? Biofuels and Bad Weather: How Bad Has The Weather Been For Corn This Year? i As of February 2008, scientists at National Weather Service report that we are in a La Nina phase of the ENSO weather phenomenon given the sea surface temperatures around the equator were more than two degrees C cooler than average. The El Nino Southern Oscillation (ENSO) phenomenon occurs when sea surface temperatures are above or below normal. Half the time, there is neither El Nino nor La Nina in the Pacific Ocean. In the last 10 years, there have been five ENSO events: three El Nino and two La Nina events. The last La Nina was in 2000/1.